Beautiful! Bonnie Jean Special Occasion Dress. 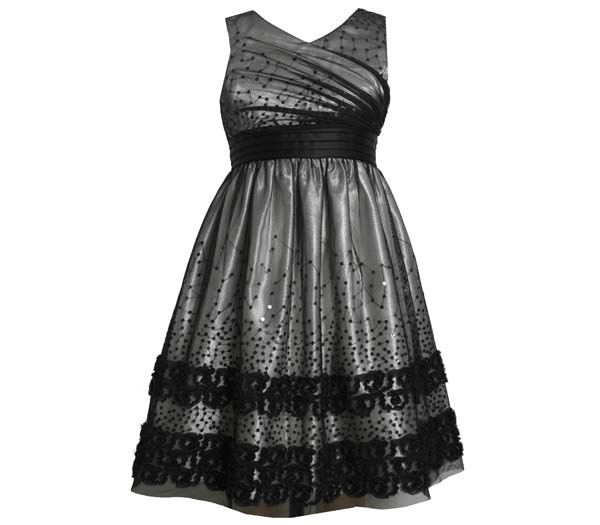 Silver sleeveless dress with all sequin, black mesh overlay, and black satin pleated sash tie in the back. Perfect for any special occassion!